Meet Aditus Medical GmbH on booth 40G. 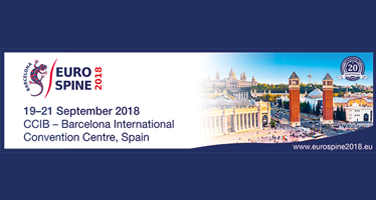 Aditus Medical will participate in the Eurospine 2018 Congress in Barcelona from 19 to 21 September 2018 with the new and extended product portfolio. The annual Eurospine 2018 Congress is the one of the platform for stimulate the exchange of knowledge and ideas in the field of research, prevention and treatment of spine diseases and related problems and to coordinate efforts undertaken in European countries for further development in this field.